Who is behind 29 Cooks Catering? Cindie Feldman has a passion for all things food. 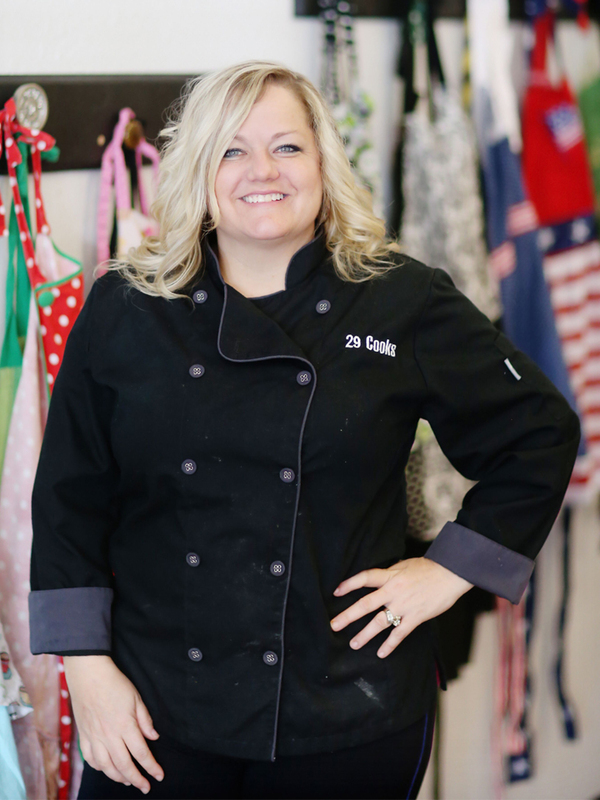 Her vision to bring 29 Cooks Catering to life was shaped by her desire to not just cook high quality, delicious food for her clients, but to also allow an avenue for people of all ages who want to play in the kitchen. Cindie’s love of cooking is inspired by her late grandmother, who was known both for her talent in the kitchen and her desire to make people feel good by cooking for them. Cindie’s husband Kevin joined her in the kitchen along with her son Marc (Chef), her niece’s Brittany (Manager), and Codie who is a prep cook while attending Cedar Crest College. Her culinary team is complete with Lindsay, Dayon, Jake, Josselyn, Sarah and occasionally others who love to cook and help out when things are cooking! She and her team hope you will join them in a culinary adventure of your own! 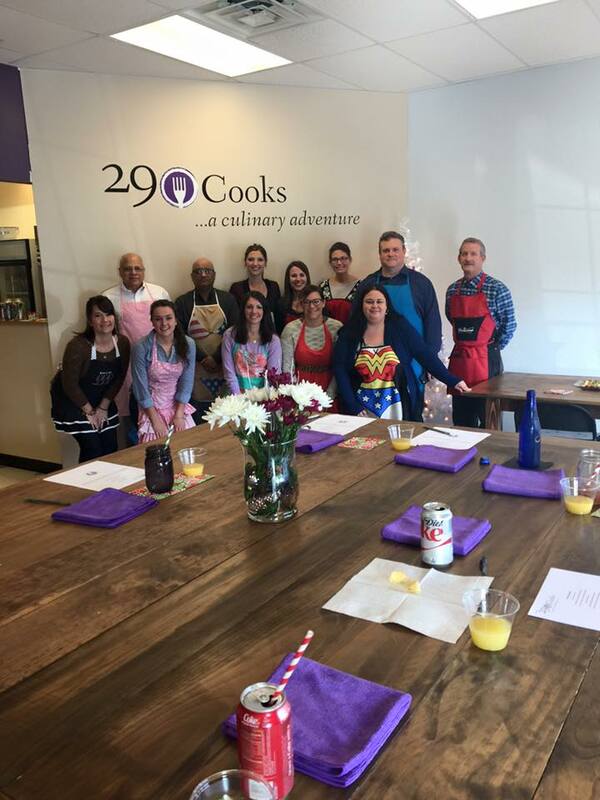 What is 29 Cooks Catering? We are the best catering service specializing in full-food catering services for carry out. On Tuesdays, we have “Takeout Tuesday”, where our customers can enjoy ready-to-cook, fresh meals in smaller portions. We offer a variety of menus and the best catering prices for any kind of event. But there’s more! 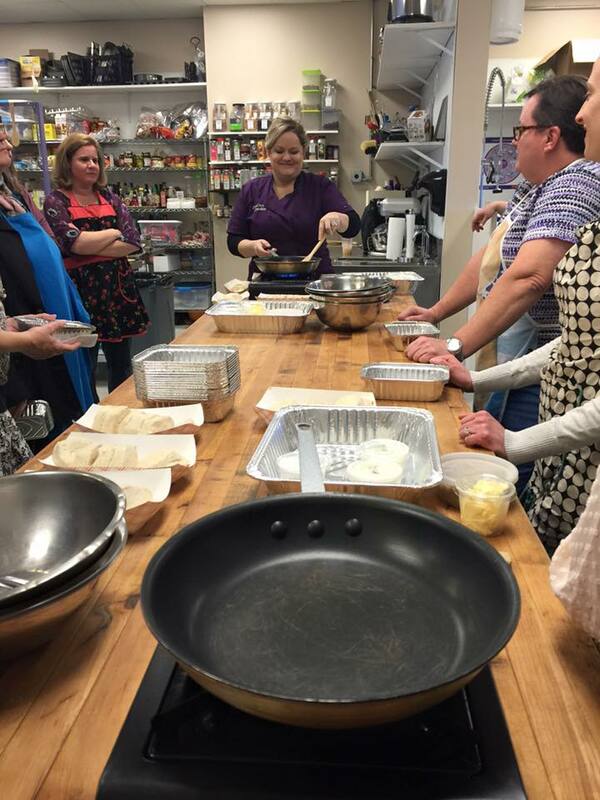 Since 29 Cooks loves to cook with people, we offer kids workshops, summer cooking camps, and private group adult cooking parties to share our passion with others and teach delicious recipes in a fun, relaxed setting. What is an adult cooking party? Private Adult Cooking parties are a unique and fun experience to participate in with family, friends and co-workers. On the Adult Culinary tab on our website, you can pick a specific theme being offered for the season. As always, it is BYOB, but we supply everything else! Check out our full menu and details under the Adult Culinary tab! Have a team that is looking for a fun activity, or maybe a team that just doesn’t seem to want to work together? We will customize a team building workshop for your group that will allow them to create and problem solve together while having a fun learning session. Our facility has WiFi and is equipped to have an all-day group meeting with full catered meals in a quiet private environment. Groups of twenty or thirty are a perfect size for our space. We truly feel food brings people together and you will too! Check out our Cooking Party info under the Adult Culinary tab! Do you offer services for kids who like to cook? Yes we do! 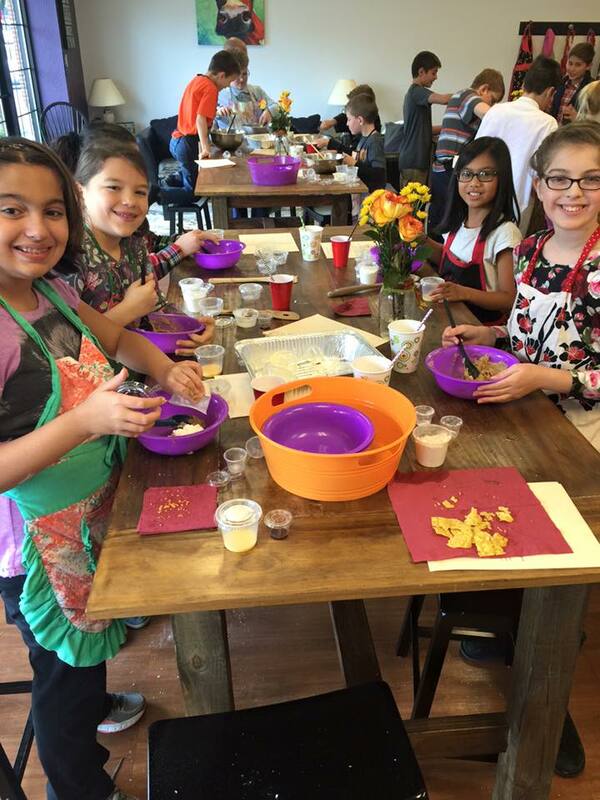 We offer themed weeks of Summer Junior Culinary camp and seasonal workshops for kids of ages 8-16. Check out our Kids In The Kitchen tab for more details! We book anything from a salad to be pick up, to corporate events and wedding catering services. We also do in-house meetings, dinners for up to thirty, cocktail receptions, showers and rehearsal dinners. We have a terrific, small gathering space that has many optional uses for small groups. Have a large group? We have a full service space for large meetings and events in Emmaus named “Gather.” Get in touch with us for our local catering services! On April 15th, 2016 we were on the Channel 69 News Sunrise Chef segment where we made Buffalo Chicken Burgers with Hot and Honey Mayo and Celery Onion Blue Cheese Slaw. We were accompanied by one of our own Junior Chefs, Alana Weirbach. Click here to watch our segment and get the recipe. Call or text us today at 484-951-0442 with questions, email us through our website at www.29cooks.com or at 29cooks@gmail.com with questions or comments. On November 23rd 2016, Chef Cindie competed on Food Network’s “Cooks vs Cons” and won! 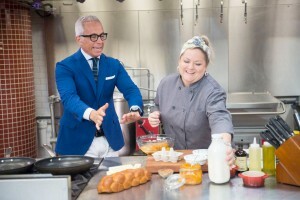 Her maraschino cherries in a barbecue chicken dish wowed the judges and she took home $10,000 to put back into the business. Click here to read the article the Morning Call wrote about our win.